As the youngest child in my family, it is often easy to look up to my older sister to aspire to be like her. It’s not that I would idolize her, but being competitive with things come naturally. For example, when I was not in school, I would hear of praises from my parents about how well she played piano, and how her marks were so good. Most of the praise I had received at that point amounted to being able to write out the alphabet. So being the competitive child I was, I would try to do everything she did, such as play piano, learn Chinese, read, draw, and, the list goes on. However, what I found was that I was never really good enough to do better. As I got older, I found that my strengths and weaknesses were in different areas. For example, she always excelled in the study of languages and humanities in general, while I preferred (And frankly, did better) at mathematics and the sciences. Really, from all this, I learned that even though I couldn’t be a carbon copy of my older sibling, I could still excel in other areas. What I’m saying is that no one is the best at everything. Everyone has their weaknesses. Likewise, today’s product has an “older brother” to look up to -- the FSP AURUM line. FSP recently unveiled the Raider series, and says it is the “Best choice in performance”. Can it live up to the title? What makes it outstanding? Read on to find out! 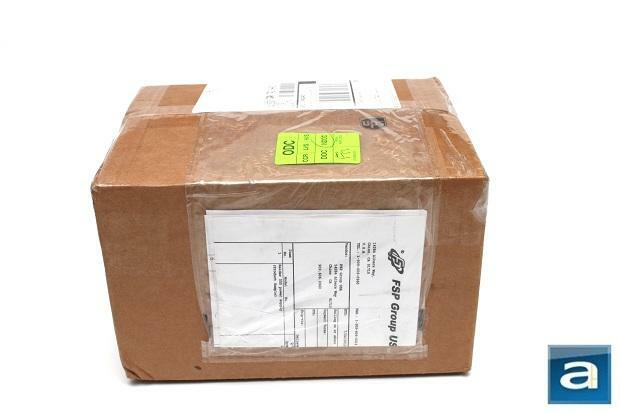 Our review unit of the FSP Raider 550W power supply came in a small brown corrugated cardboard box from the company’s headquarters in California, USA via UPS Standard. The box itself was in great condition. Eager to get on with the review, I quickly opened the box to reveal the power supply itself; sandwiched between brown packaging paper and pink pieces of foam. It was almost like a ham sandwich, except with a power supply in between. 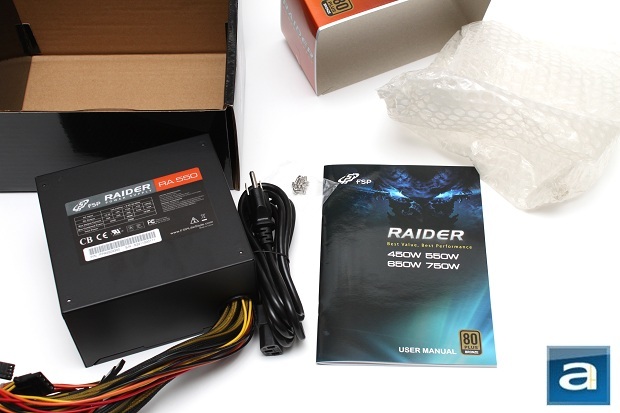 The unit of the FSP Raider 550W PSU arrived in its retail packaging form: a dark black and blue box. On the front, the box displays a mythical or fantasy creature. In my opinion, the look itself is nothing to go crazy over. It tries to be ominous, like there is a mystery within the box. Yet we all know there is only one thing inside: A good old power supply. The color scheme of black and blue is an odd choice, especially with the orange cardboard wrapper. Upon further research, other power supplies in the Raider series display different colors, depending on their wattage ratings. Clearly, FSP uses the same box for the entire Raider series; the orange cardboard wrapper shows the wattage and other tech specs, and slides off before opening the box. Input Current: 10 Amp (maximum) at 100-127Vrms/ 60 Hz, 5Amp (maximum) at 200-240 Vrms/ 50 Hz. Upon opening the box up, there were absolutely no surprises. 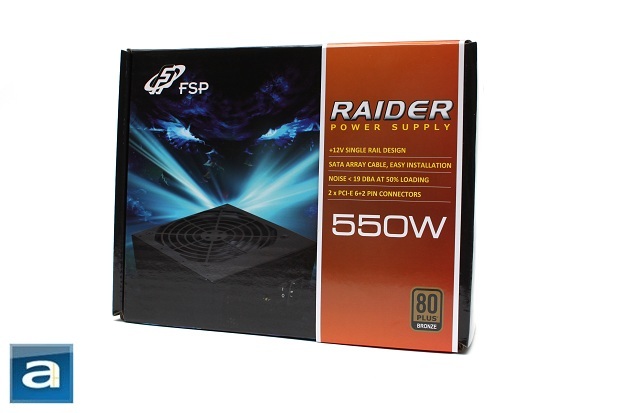 What you will get is the FSP Raider 550W PSU itself, power cable, plastic bag containing four extra screws, and the user manual. Yep, no frills is the term here. All the cables required were bundled into one bunch of wires, held by three elastic bands and a bubble-wrap bag held the power supply. I would have proceeded with popping the bubbles, but time was of the essence, so I got down to examining the outside. posted 5 hours and 28 minutes ago, with 12 posts. posted 5 hours and 29 minutes ago, with 9 posts. posted 5 hours and 29 minutes ago, with 3 posts. posted 5 hours and 30 minutes ago, with 3 posts. posted 5 hours and 32 minutes ago, with 4 posts. posted 5 hours and 32 minutes ago, with 11 posts. posted 5 hours and 33 minutes ago, with 56 posts. posted 5 hours and 34 minutes ago, with 11 posts. posted 1 day and 22 hours ago, with 11 posts. posted 1 day and 22 hours ago, with 10 posts.